Google opinion rewards is a genuine application to start earning free google play credits only for completing surveys. Google opinion rewards offers you surveys according to your daily activities and when you gave answers of those surveys you will get a instant reward in the for of google play credits gift cards, this is a popular application which allows you to earn free google play credits by just completing short surveys. 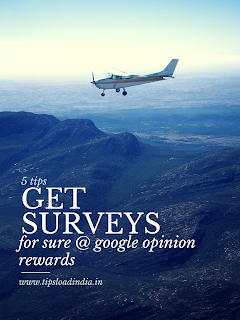 Google opinion rewards give you surveys according to your daily activities and location, you can find surveys in google opinion rewards application. But their is a little problem with google opinion rewards, that new users with google opinion rewards are not getting surveys on their google opinion rewards application, to solve this no survey problem and to get unlimited surveys in google opinion rewards application just follow these tips and get unlimited surveys. This is a great way to get more surveys in google opinion rewards application, just install more and more applications in your device this will increase tour chances to getting surveys in google opinion rewards application. 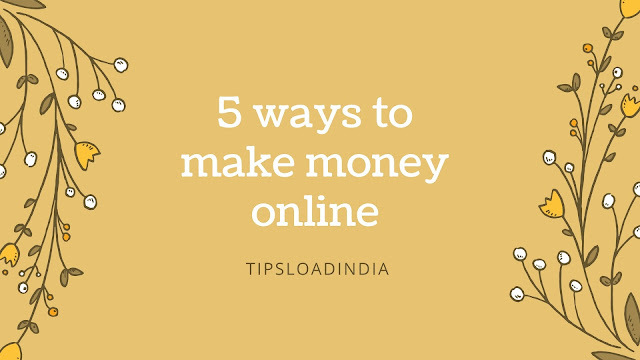 I suggest you to install more and more applications which are powered by google itself because google is spending billions on getting feedback from its users and if you install application with google they can offer you survey for your feedback and experience with those applications. This is a very big factor in getting more unlimited surveys with google opinion rewards application if you give correct answer of the given survey in google opinion rewards application and if your answer help them to improve their services than they will give you more unlimited surveys in google opinion rewards application for your valuable feedback , thus you can increase the frequency of getting surveys and also solve no survey problem with google opinion rewards in future. This application is very sensitive for new users they need only valid and valuable answer for surveys so this is very importantto be stay active with Google opinion rewards application to do this just open this application once in a day and spend some time on this application this will increase your chances for getting surveys in this application and also increase frequency of getting surveys in Google opinion rewards application. As I already mentioned that this application will give you a surveys on the basis of your activities and location so this is very important to share your location with google opinion rewards, to share your location history with google opinion rewards application just open menu and than click on settings and after this turn on location history , this will send your location to google opinion rewards application and they will offer you a survey in your google opinion rewards application. This is the latest tips to get more unlimited surveys in google opinion rewards application, their a lot of store are available in the Market who would like to know about their customer opinion regarding their services so you can take advantage of this just turn on your location while going out for market , this will give a complete detail of your activities to google opinion rewards application and they will offer you surveys regarding your experience in market at stores. 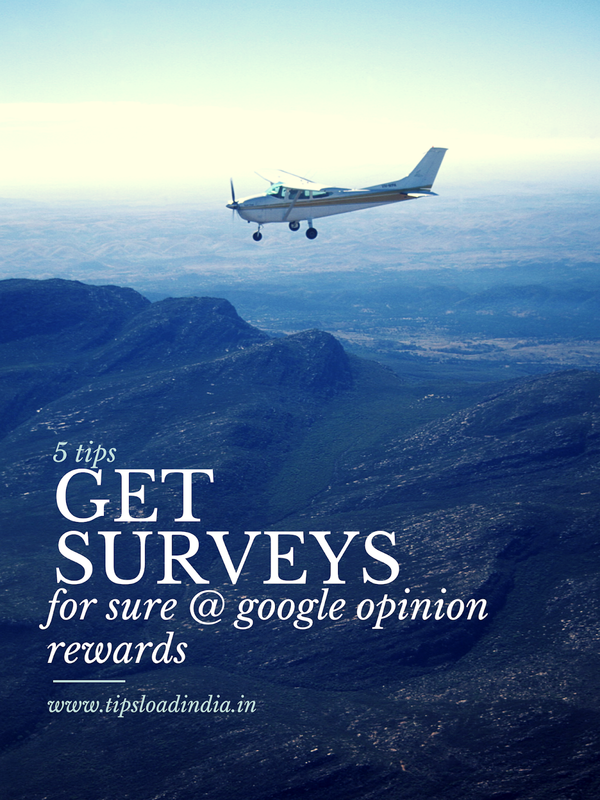 This is how you can solve no survey problem in google opinion rewards application and you can get unlimited surveys in your google opinion rewards application.